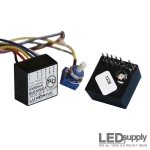 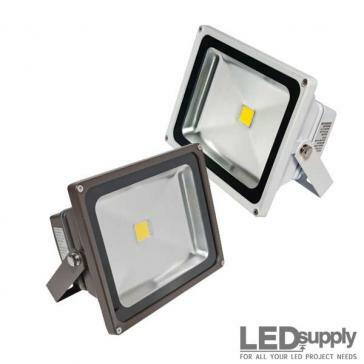 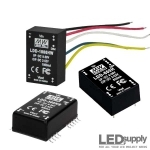 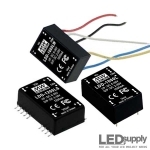 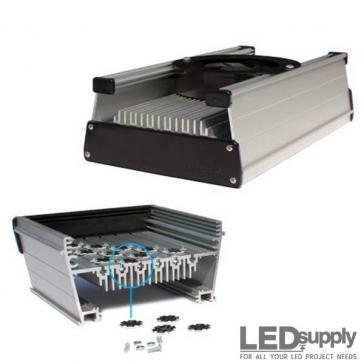 LED Drivers that take Direct Current (DC) input and output a constant current of 1000mA (1 Amp) and up. 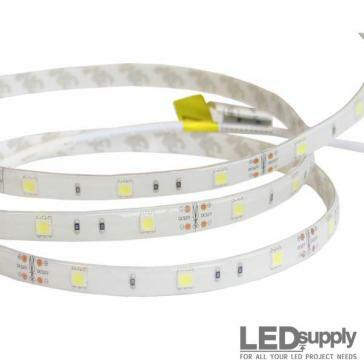 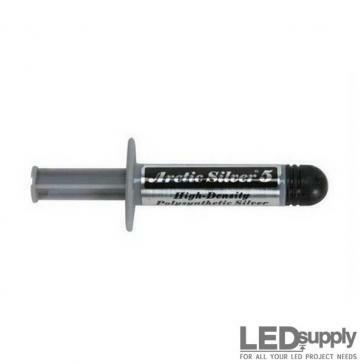 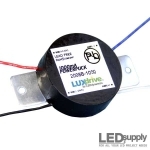 At 1000mA, most high power, 1-Up LEDs will run at about 3 Watts. 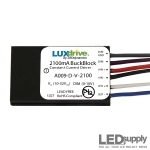 The A009 series LUXdrive™ BuckBlock LED driver is a dimmable DC input (10-32Vdc) module for powering high-brightness LEDs at currents equal to or greater than 1000mA. 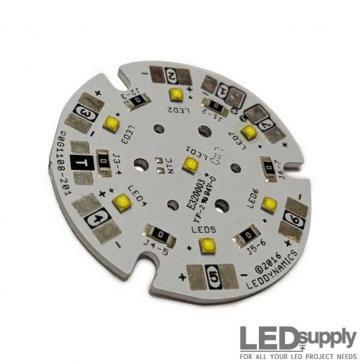 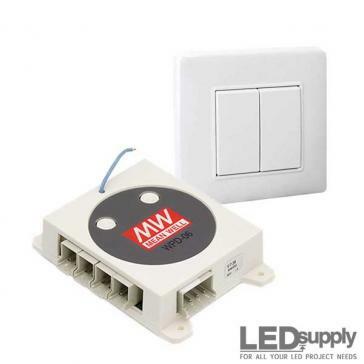 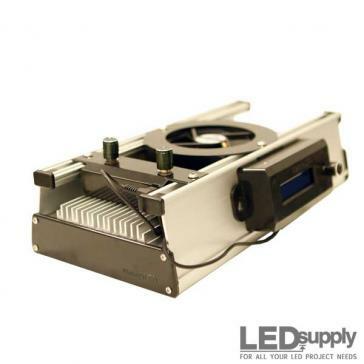 The MiniPuck is a PWM dimmable low voltage DC input (6-30Vdc) driver. 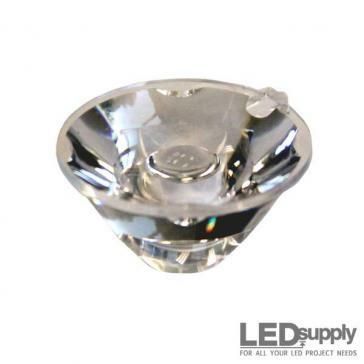 Available in pinned and surface mount styles. 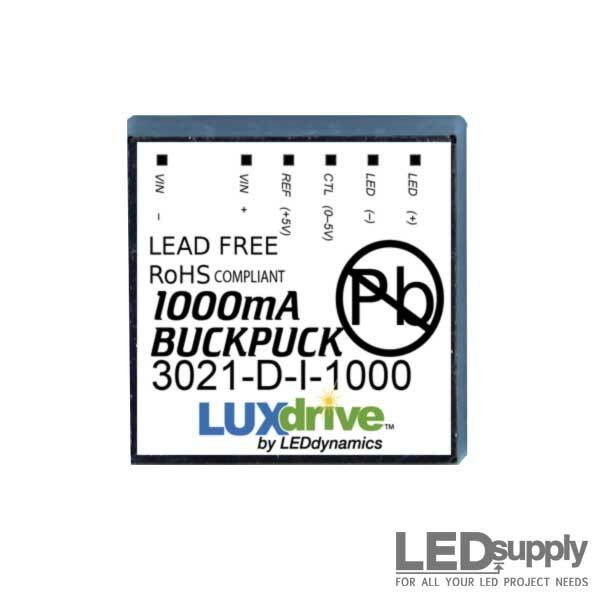 The 2008 series LUXdrive™ PowerPuck LED driver is a low voltage DC input (5-32Vdc) module for powering high-brightness LED(s). 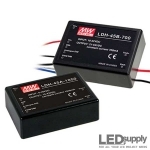 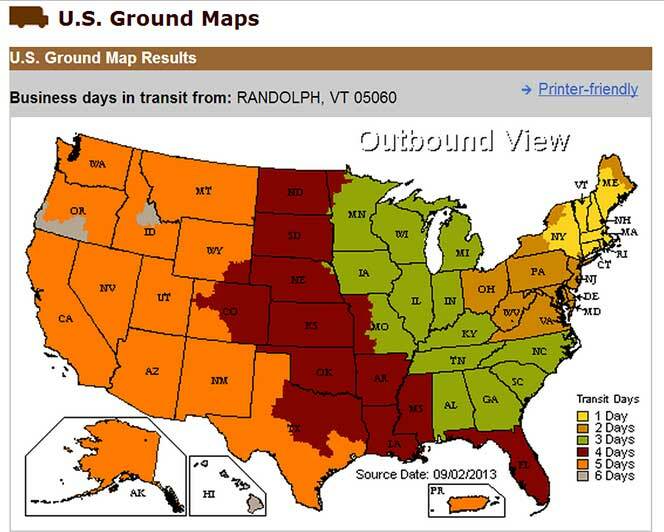 Output currents from 350-1000mA.